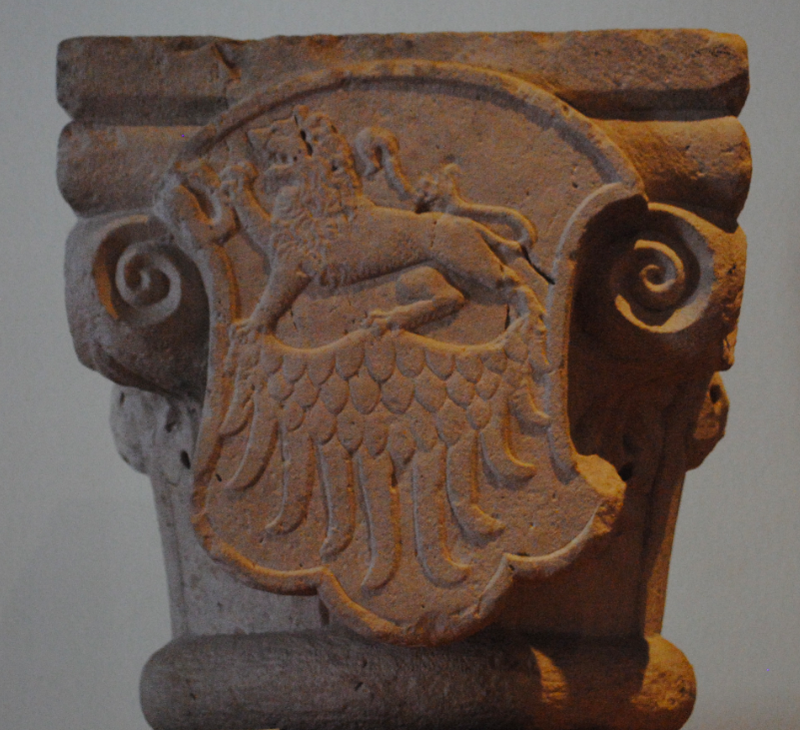 On display in the City Museum of Split is what is itemised as ‘Romanicka Transena’ – Romanesque Transenna. A transenna is a large slab of lattice work that formed part of a screen in an Orthodox church which enclosed a shrine. The example on display in the museum is undated with no location identification. Papalić Palača is located on Papaliceva Street, north of the Peristil, and is home to the City Museum. 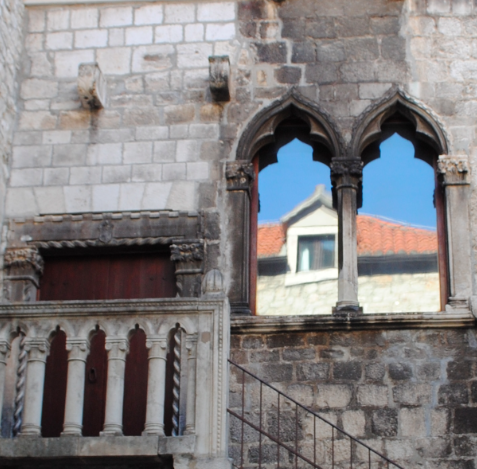 Built in the 15th century, the palace was designed by the sculptor and architect Juraj Dalmatinac. The Gothic palace features the well preserved courtyard with loggia and carved staircase. Beautifully carved Ionic columns adorn the staircase balustrade and windows. 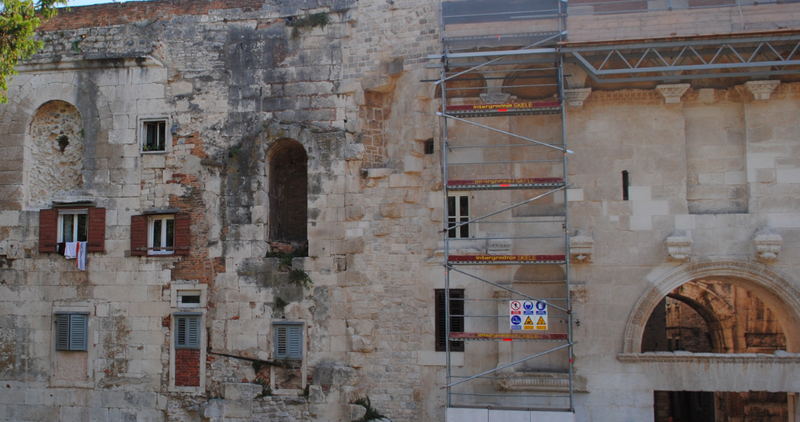 The interior reveals glimpses of arched stone openings of the former palace building. 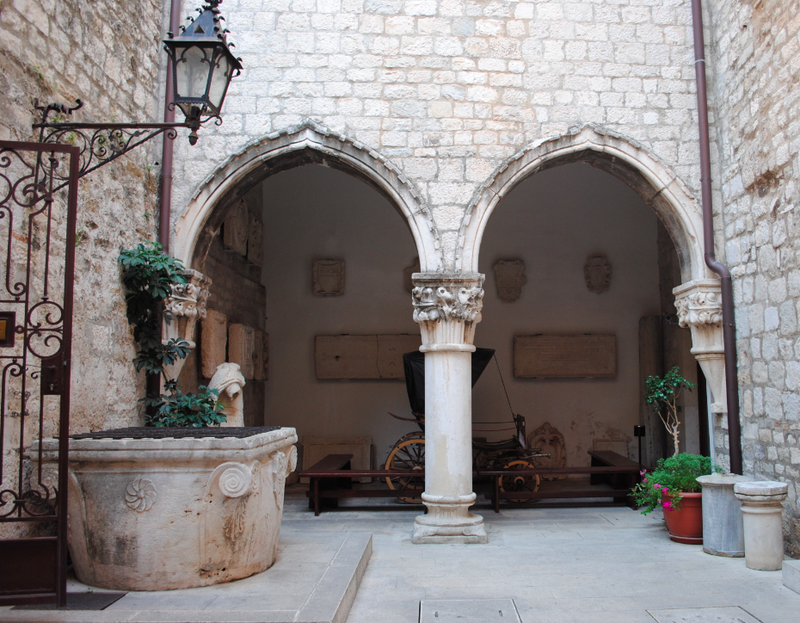 The City Museum contains many artefacts from Split’s history including sculptures, statues, paintings and medieval weaponry. The poet and humanist Marko Marulic was born in Papalic Palace in 1450. 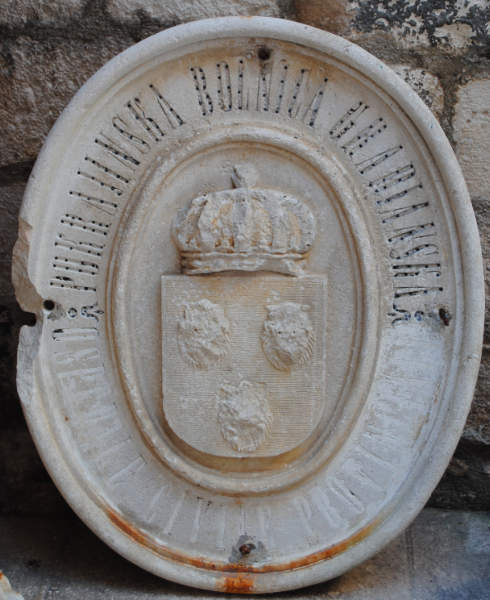 Now the home of the City Museum in Split, a capital bearing the crest of Marulic is on display which dates to the late 15th century / early 16th century. 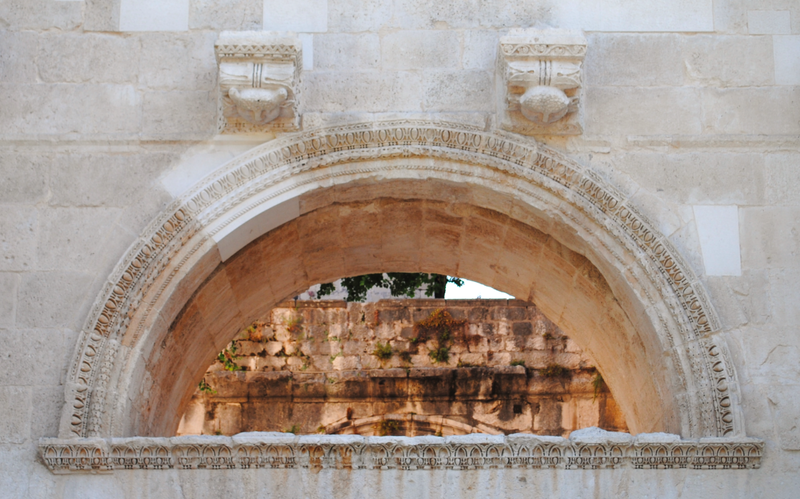 The capital is likely to have been part of the Marulic Palace and the crest is in a simple shield depicting a lion with a raised paw in the upper section over symmetrical wings. Born in 1450, Marko Marulic was a poet and humanist who is known as the father of the Croatian Renaissance. He studied classical languages, literature and philosophy taking inspiration from the Bible. His works, which were written in Latin, were translated into many languages and published during the 16th & 17th centuries. 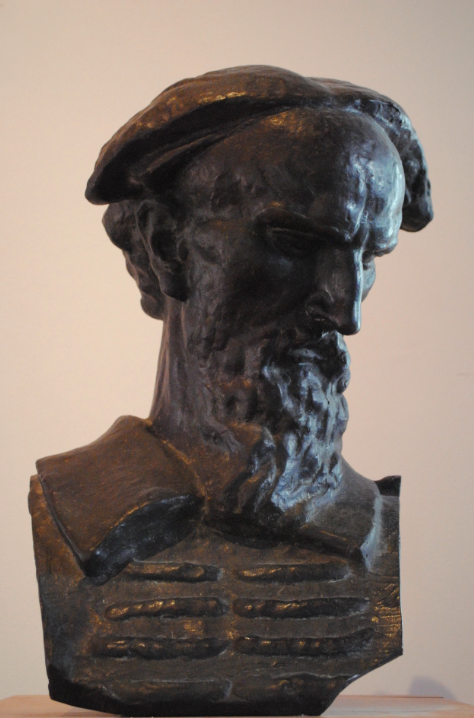 The bronze bust (above) is the work of the 20th century Croatian sculptor Ivan Mestrović and is on display in the City Museum, Split. Situated on the north east side of the Peristil is the Church of Saint Rocco. Dating to 1516, the Renaissance church is one of many churches in Dalmatia named after Saint Rocco who is said to have helped protect people against the Plague. 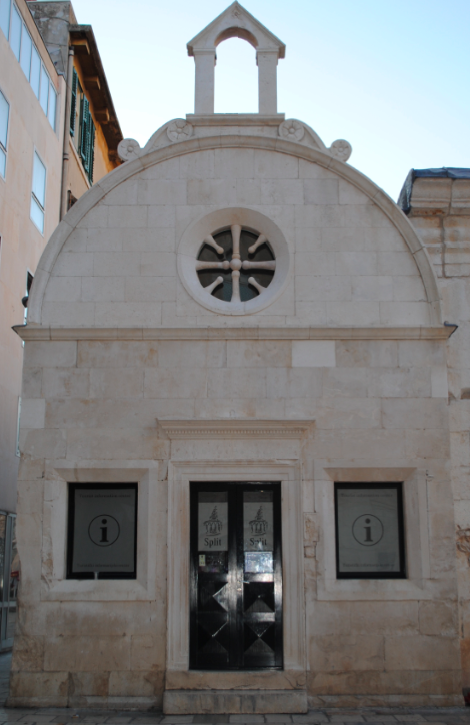 Originally, the chapel was a family dwelling and was converted by the Croatian Poet and Humanist, Marko Marulic. The church is now the Tourist Information centre. 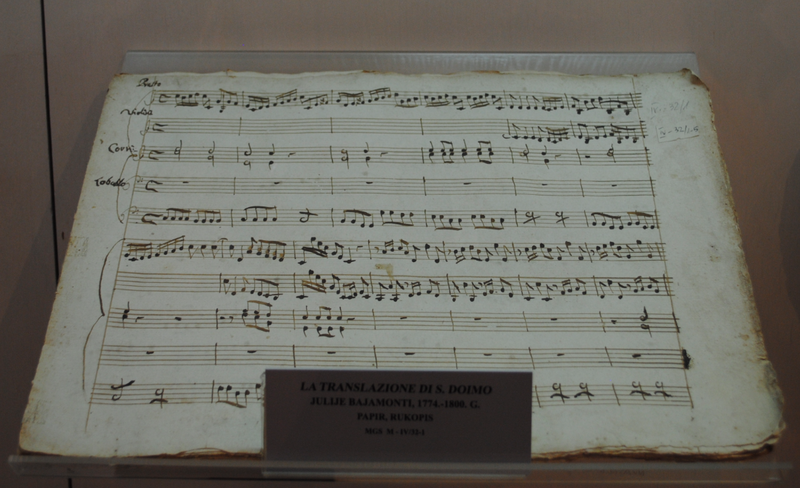 A paper manuscript dating to the 18th century is on display in the City Museum, Split. It is a piece of classical music translated by the Mayor of Split, Julije Bajamonti. 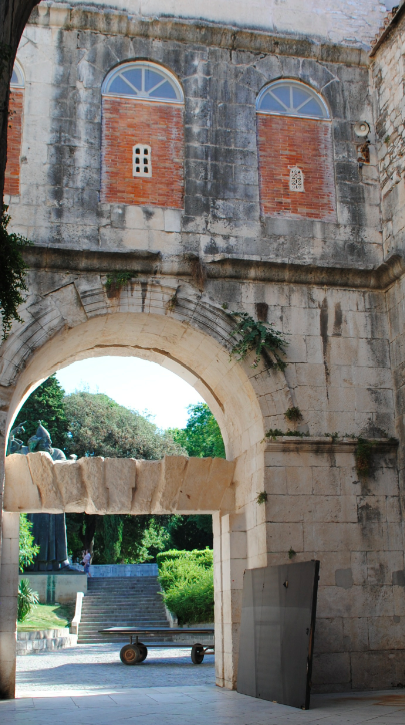 A prominent figure in the history of Split, Julije was a medical historian, writer, philosopher and musician.